A Biddenham doctor who was one of the most influential figures in the NHS is facing a criminal trial for voyeurism. Jonathan Fielden is charged with watching a young female perform a “private act” without her consent. The alleged purpose, according to the charge, was for Mr Fielden to obtain sexual gratification. The 55-year-old former Bedford School pupil, who lives in Regents Mews, held the post of deputy medical director for NHS England as well as director of specialised commissioning services. His annual salary of almost £225,000 made him one of the highest paid doctors in the country. Mr Fielden last week pleaded not guilty at Luton Magistrates’ Court to two counts of watching the young female between March 2015 and June 2016. 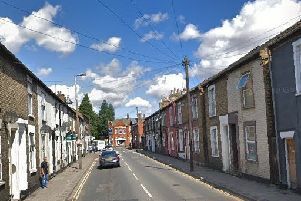 The alleged offences took place in Leighton Buzzard. He was committed to Luton Crown court for trial and an order was made under the Youth Justice and Criminal Evidence Act to protect the identity of his alleged victim. With his clinical background as an anaesthetist and intensive care specialist, Mr Fielden has previously served as chairman for the British Medical Association consultants committee. He was arrested in February 2017. Meanwhile he has had conditions imposed on his practice by the Medical Practitioners Tribunal Service. Mr Fielden will next appear in court for a preliminary trial hearing on October 29.